That is the Ohio River from the Kentucky side looking NorthEast. 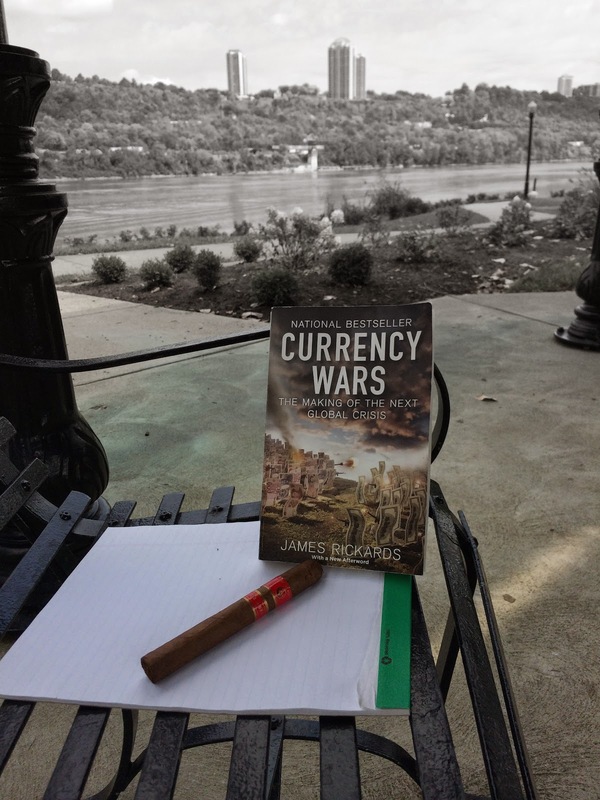 We finished Currency Wars by James Rickards today. An outstanding book in our ongoing study of the gold standard. Thank you for the reminder, I have a copy of Currency Wars gathering dust on my shelf. I got it as a gift at Christmas but haven't begun reading it yet. Been reading some Jennet Conant books, The Irregulars (WWII espionage, the British spy ring in Washington), Tuxedo Park (more good WWII history), and A Covert Affair (did you know celebrity chef Julia Child was an OSS gal?). As interesting as that trio of books was it's time to get back to contemporary issues. Glad to give you the nudge, Comrade. Please consider sending me a short review of any of those history books. I'd be honored to post as a Guest Post at Ushanka. I'm starting Rickard's 2nd book today. Can't wait. I'd be happy to send a short review. What's a good contact email ?